About 10 years ago I learned about winter endurance racing, particularly the Iditarod Trail Invitational. After a number of 24-hour solo races, the possibility of doing a winter race has grown on me. 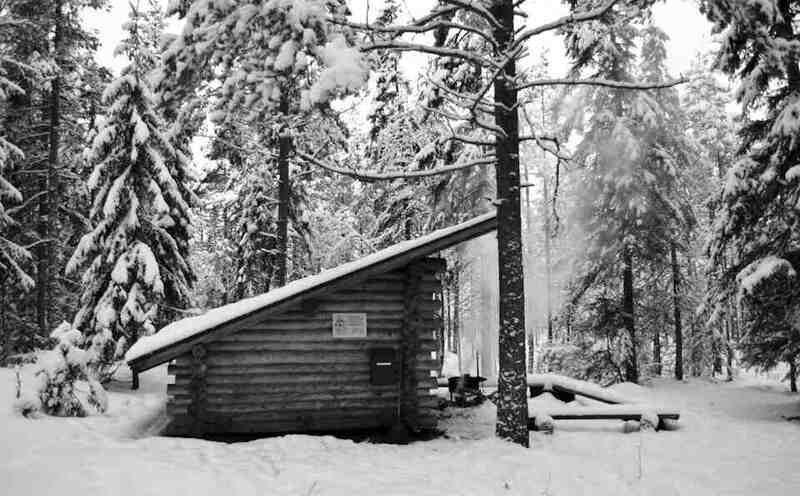 Last year the first Rovaniemi 150 was organized. All of a sudden, a winter endurance race was a reality in my home country of Finland. I thought that if the stars aligned, I could participate in 2013. Apparently they are, because on Saturday morning I will be standing on the start line. My preparation for Rovaniemi started probably in the best possible way, by racing the Mammoth March Impossible orienteering race with a team at the end of October. It took over 18 hours to complete and it was a real sufferfest. After that I have logged a good number of miles, and done several overnighters. The last one in January was an excellent outing. With endurance and ultra endurance racing, preparation is everything. For me, it’s like a triangle consisting of physical, mental and gear sides. Thanks to the sponsorship with 45North the gear part is much easier than it otherwise would be. I will do the race with the brilliant Wölvhammer boots and wear 45North merino wool socks. 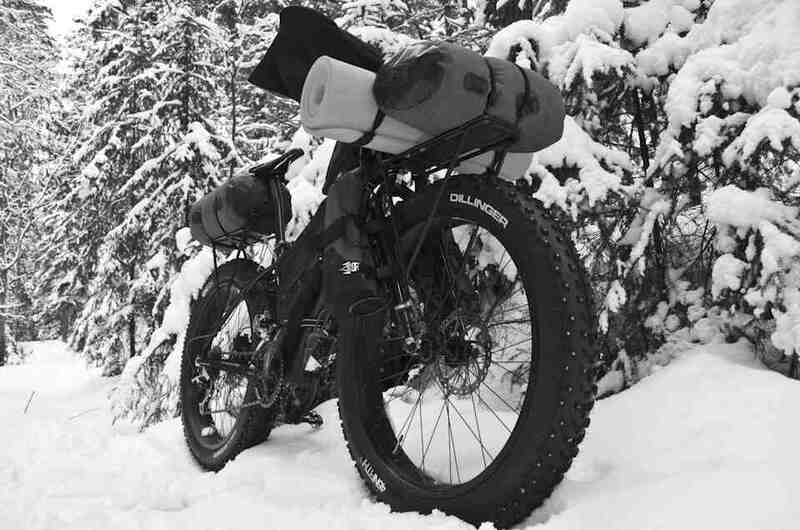 On my fatbike, I will run a set of Dillinger tires. The bike is packed with the mandatory race gear, which is a sleeping bag and pad. For short breaks I have a down jacket. On the Salsa Anything Cages I have thermos bottles. Inside the frame bag I have a spare tube, multi-tools, a pump, batteries for my lights and plenty of energy bars and gels. 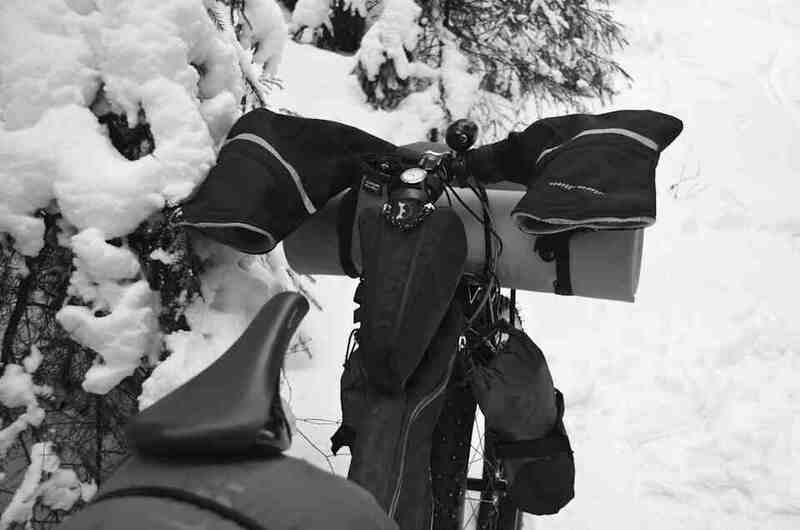 More energy is packed to the bag on the handlebar. 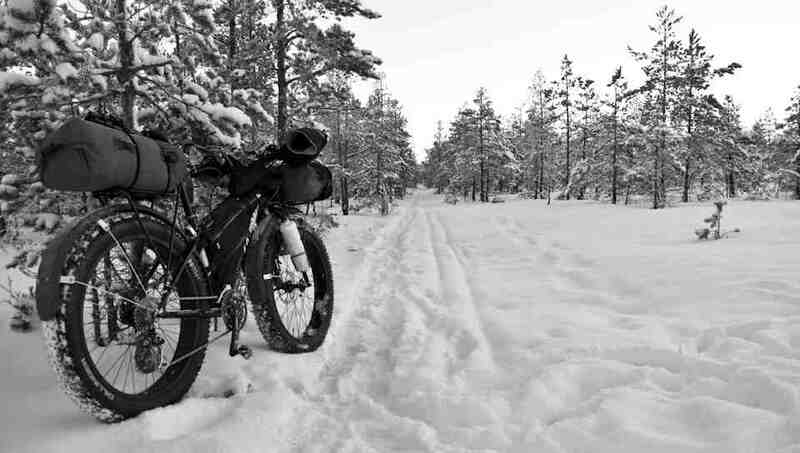 I’m expecting that the race will be a great experience in beautiful Lapland scenery. For me, like always in racing, winning myself, finding my limits and getting over the challenging moments comes first. Everything else is a nice bonus. The race takes place February 15-17, 2013 and you can follow on Facebook.